Today 360 camera manufacturer Detu has launched a Kickstarter campaign to fund its newest 360 camera offering: the Detu MAX. 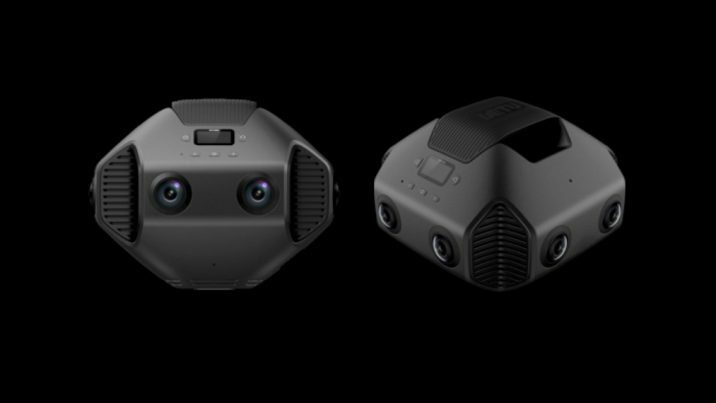 The new camera can shoot 12K 360 stereoscopicVideo shot with two parallel cameras (or in the case of 360° video, multiple pairs of parallel cameras) Commonly referr... More images and 8K stereoscopicVideo shot with two parallel cameras (or in the case of 360° video, multiple pairs of parallel cameras) Commonly referr... More 360 video, and will also be able to livestreamDistribute video playback in real-time. to Facebook and YouTube. The camera is also equipped with an AI chip for real time object tracking for an improved 360 experience. It can also stitch 360 content in-camera at resolutions up to 4K. The MAX is expected to have HDR imaging and 6-axis stabilisation. The camera also has four built-in microphones. Its full metal body helps dissipate heat and its removable 4800mAh battery can support up to an hour of continuous shooting. Although the camera is being marketed as a pro camera, it is supposedly “elegant and straightforward to use” with only five buttons on the camera itself, according to the press release. It can also be controlled via companion iOS and Android apps. The Kickstarter campaign broke its $20,000 goal within the first few hours of its June 13 launch. The camera will retail for $3,599, but is currently available at an early bird price of $2,199.